Another of my favourite early season climbs. 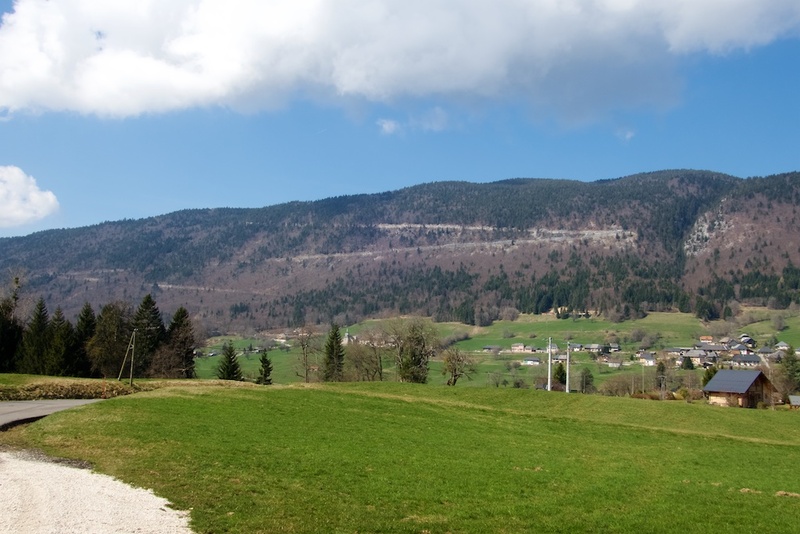 Le Semnoz is the huge massif to the west of Lake Annecy – the summit is called Crêt de Châtillon and is home to a little ski station with both downhill and XC skiing. It is the biggest/highest climb in the region. 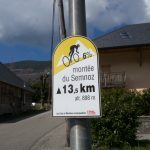 The difficult 18 kilometre north side featured in the 2013 Tour de France. 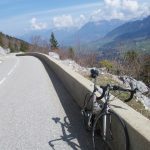 But I prefer the more scenic, quieter, and longer (thus less steep) south side via and St. Eustache and Col de Leschaux. 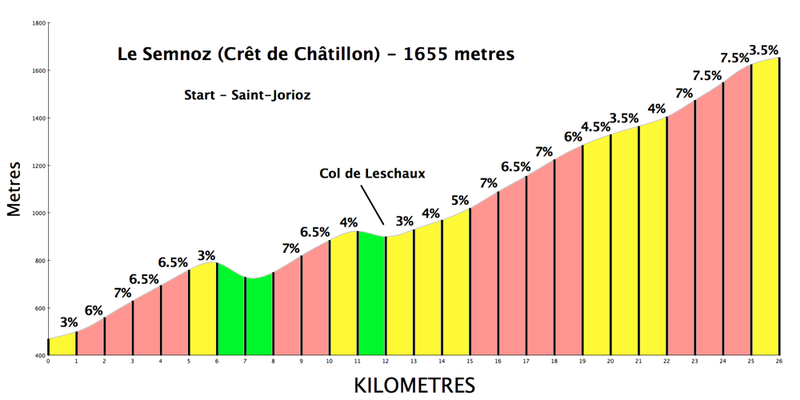 It’s a big climb: 26 kilometres, +1300 metres ascent. Detailed map at very bottom of post. 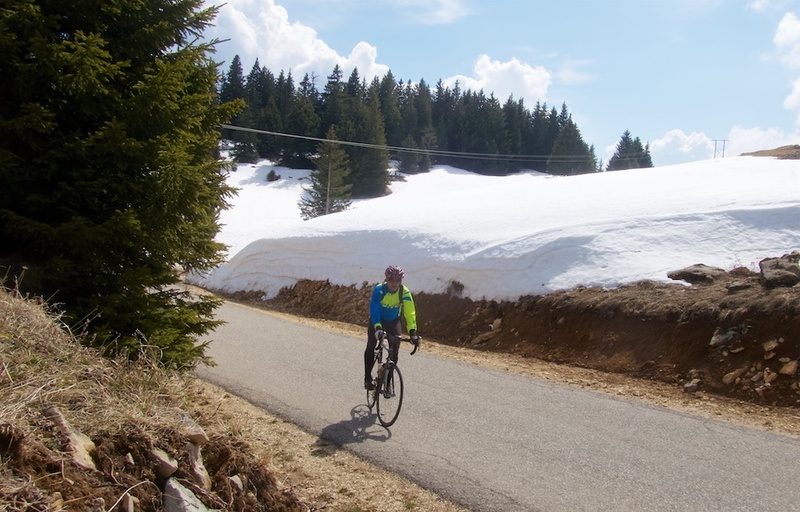 See here for details of all five road bike routes up Le Semnoz. 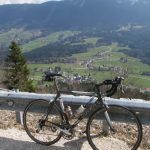 See here for a mountain bike route. 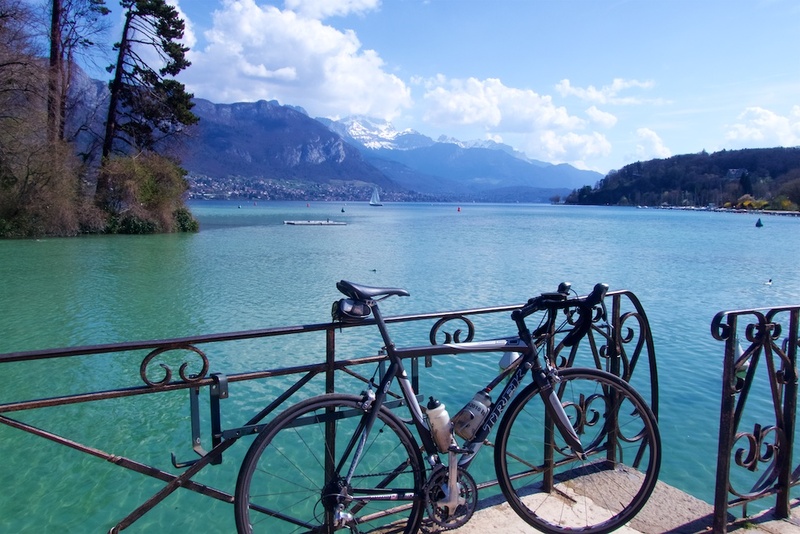 I began from the north shore of beautiful Lake Annecy following the Annecy bike path along the west side of the lake for approximately 10 kilometres. I turned off the bike path at the Route #8 bike route sign joining a small road that hairpins up to St. Eustache and eventually Col de Leschaux (897 metres). 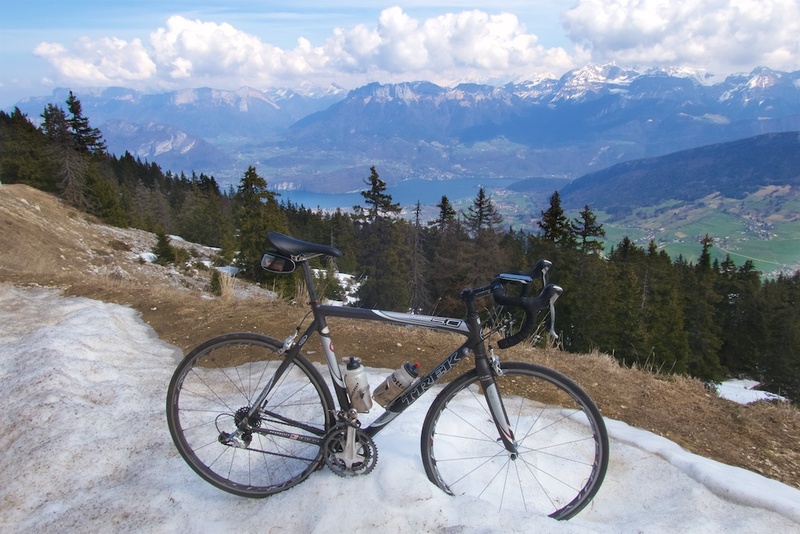 This is quieter than the direct way to Leschaux, with plenty of views including the Lake behind. Just before Col de Leschaux one can easily see the hairpins in the distance continuing higher. It’s wide enough road but always very quiet, much quieter than the not-that-busy north side. 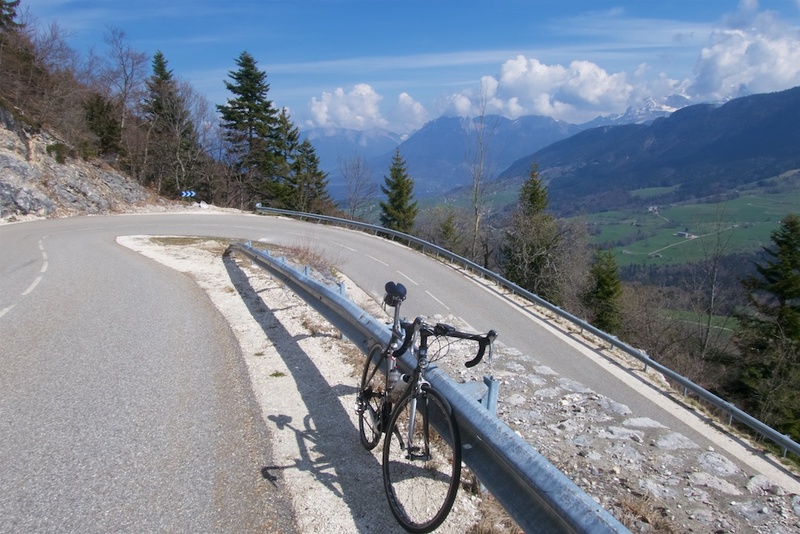 The first five or so hairpins have plenty of views. I always enjoy the very last ramp to to the high point of the road. Beautiful. 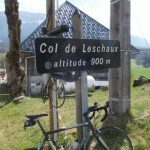 The descent conveniently ends very close to Annecy and my start point. Well done Matt. And thx for the comment.